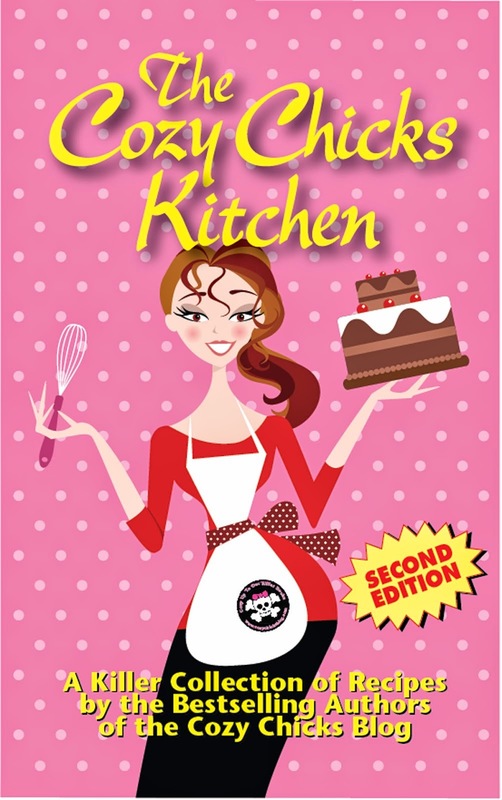 Cozy Chicks: My Books Arrived! For me, this has been an especially long wait. Though I loved my last book (The Cat, The Professor and The Poison) I did not love the cover. 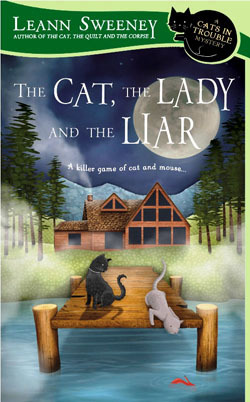 As soon as I got my hands on a picture of The Cat, The Lady and The Liar's cover, I switched my facebook profile to that one. I was so glad they listened to me about what might make an interesting cover--and I must say, they stayed pretty true to my suggestions. But that red shoe? Not my idea--but genius. When that box of books arrives, I do get excited. But this time, with my shoulder finally improving and the beautiful azaleas and red bud trees blooming, I feel something special. Maybe this has more to do with the book itself--my editor's favorite of all time and maybe mine, too. Or maybe it's just that I can put that other cover I didn't "love" behind me once and for all. How about you? How important is the cover art? The title? The colors? I'm liking my little green spring book! The cover art definitely draws me in or turns me off when it comes to a book. That's not to say that I wouldn't go on to read a book with a lousy cover, but it would take some suggestion or a lack of other choices. I wish that I was not so superficial in that way, but a good cover really draws the eye and encourages me to read the back to determine if I want to read what is inside. The cover art is a definite draw for me for an author I I've never read before. If it's someone I've already read and liked, it's really not as important. If a book has great cover art it makes me want to see what it is all about. A bland or simplistic cover makes me think the story is as bad as the cover. The title is very important since, for me, it sets the tone of the book. I found this series because I was looking for mysteries featuring quilts. When I saw that it also had cats involved, I couldn't wait to read it. If you first book had a title without the word quilt in it, it might have taken me longer to find it and decide to read it. The story did not disappoint either. I can't wait for your new one. I had some uninspiring covers on a few of my books, and there wasn't anything I could do about them! It was frustrating and disappoiniting but I guess I was just grateful to be published. Delighted to hear you're happy with yours. I'm a Kindle addict now, and I've just preordered a Kindle version of your book (at least I think I have - first time I've used my Kindle for that! )Wishing you every success with your new book. I definitely look at the cover. It needs t be something that draws me in especially if an author never read their books befor. Your books I would buy whatever the cover because I know I am going to love the book already. Love the cover on this one! i must admit, Leann, i DO judge a book by its cover......what drew me to cozies, as i just recently discovered them, ARE the covers!! they are soooo inviting w/that added charm of innocence & pureness......& the brightness of the colors!!!! i also noticed that the scene chosen are such everyday settings, that they really allow me to feel like i'm IN the story.......yes, all that from just the cover!!! btw, LOVING your new cover & so thrilled that you love it as well!!! good luck & MANY CONGRATS!!! Yes, it's true. I'm as superficial as everyone else. I would rarely reach for a book if the cover doesn't reach out for me. Now that I read most things on my Kindle, you would think the artwork doesn't matter, but I still recognize a book by it's cover. Personally, I pretty much ignore the cover as it relates to the book, because too many times it has nothing to do with the story. Remember how many of those old library books were just solid colors, many an ugly grayish-green, but such great adventures happened between those pages! I have to admit, though, I do examine the covers because of the beautiful artwork on so many of them. I look at them as pictures in and of themselves, like going to an art gallery. I'm a visual person so the cover has to strike me, especially for new-to-me authors. Apparently I have the attention span of a gnat. The color of the cover catches my eye, but most of the time I couldn't tell you what the cover looks like. Very sad for me, I think. I love this cover and I'm glad that this conversation took place otherwise I might just think of it as blue. I agree with Dru,the cover catches my eye and my eye needs to be pleased when it's a new author. After I get to liking an author, the connection to the content of the book means alot. I definitely go for the artsy covers! Yours are the tops! Just love'm! I love all the colors too! Yes, a colorful cover definitely catches my eye and pulls to me to pick it up. Congrats on the new book and the beautiful cover! My first interest is attracted with the cover, then I want to read the blurb to find out what it is about. 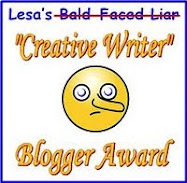 (Sometimes, those blurbs are so totally wrong!). And if I like the setting, I will probably buy the book. Yes, I am an addict, I know that. But yes, the cover is important to draw my attention. I once won a book with a very scary cover. Needless to say, it is still unread and upside down. Most cozy series have lovely covers. The ones I love most, are those of the Teashop mysteries by Laura Childs. I really really want to sit there and drink some of the teas she serves, with some of Haylies baked goods. 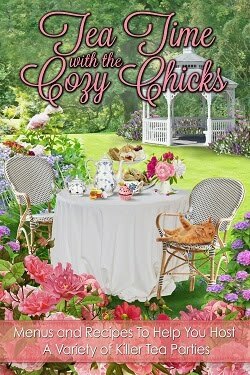 I do like the cover of your book Leann, and am looking forward to starting this series shortly. I would too be very happy to receive a box filled with the book I wrote. I guess it will always be a thrill to finally have the finished book in your hands.